"I love the detective side being a vet and the immense reward that comes with actually solving and curing a case. " Q: I know that old dogs often have arthritis, but what about old cats? My cat is 14, how can I tell if she has arthritis? Answer to question: "why does our 18 month old female cavalier always start playing with or chewing on a toy after we get home?" I know that old dogs often have arthritis, but what about old cats? My cat is 14, how can I tell if she has arthritis? Answer to question: "will toothbrushing help my dog's stinky breath? How do I do it?" Why does our 18 month old female cavalier always start playing with or chewing on a toy after we get home? Answer to question: "Being the Bondi Vet your personal profile will change considerably. You will become a public figure and your lifestyle will need to change. How do you think you will handle being such a recognised personality?" Answer to question: "Simone, given your long history with the RSPCA and AWL, you're obviously committed to helping animals who don't have the benefit of an owner. 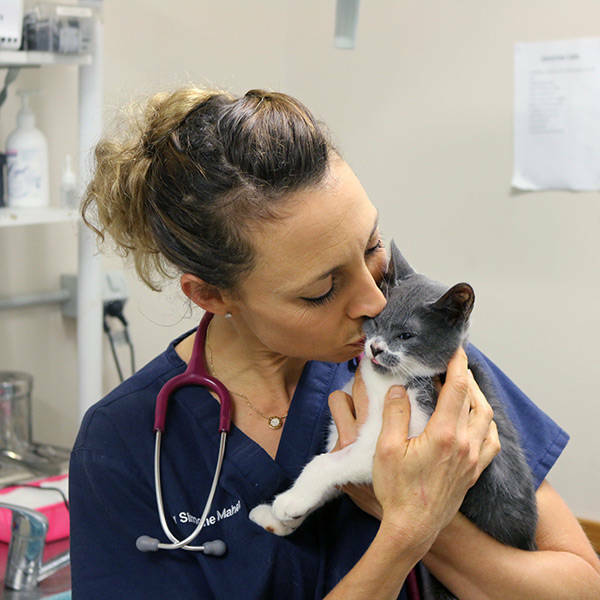 How will you use your role as the Bondi Vet to save more of our most vulnerable animals?" I have heard that brushing my dogs teeth will help his stinky breath, is this true? Can you please explain how I do it.